Just 10 days remain until Kidney names his World Cup squad, and last week’s performance and this week’s team announcment give us a little insight – but not too much – into who is likely to go and who isn’t. On the surface, it all looks rosy for Donncha Ryan, who, having played in the second row last week, is now given a chance at 6, and so can prove his versatility and bag himself a spot on the plane. But think forward to next week, and the backrow could be something like Locky-Wallace-Heaslip, and the complexion would look somewhat different. Would you rather play at home to France with Jamie and Wally beside you and Paul O’Connell in the second row, or go to Bordeaux with no O’Connell and Leamy at 8? The same applies, to a lesser extent, to McFadden, who didn’t play well last week and finds himself out of the team – but next week in all likelihood BOD will be back. If he was to play 12 inside BOD it would be seen as an endorsement of his chances. So it’s not all over quite yet for Ferg, though he looks odds-against at the moment. Following the team announcement and last Saturday’s game we can infer a little about who’s looking good and who isn’t. Practicing ordering fush’n’chups: All the back three. Rob Kearney came through 80 minutes and looked sharp. He gets another start on Saturday. Already a Kidney favourite, he can start laying a claim on the 15 shirt for the Australia game. Luke Fitz looked a lot more confident, and though he kicked the ball away a little too often, he wasn’t exactly blessed with options by the time the painfully slow ball he was supplied with. Andy Trimble played with great intensity, as usual. All three look to be heading southwards next month. Still hanging on the telephone: Donncha Ryan did reasonably well on saturday, but he will have a tough job on Saturday convincing that he’s an international 6. He’s up against Thierry Dusatoir dans la sud de France, so no pressure. Jerry Flannery’s return was positive, but all he did was miss one throw. We need to see some of the old Jirry mongrel before declaring him back for good. Buying their Electric Picnic tickets: It looks like Peter Stringer’s terrific international career may finally be up. 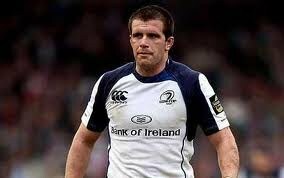 Sent to La Rochelle to play with Munster, he is the only scrum half yet to see action for Ireland. Unless he starts at home to France next week, which he won’t, then the game will be up. Shane Jennings always needed to make a big impression to win Kidney over, and injury looks to have robbed him of that chance. 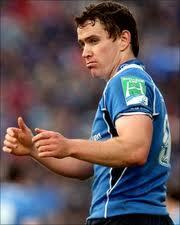 We are presuming Wally will get a start next week in the 7 shirt, with Jenno togging out against Connacht. A pity. As for the game itself, it could be a long night for Ireland. It’s not the most defensively robust 9-10-12-13 Ireland have ever put out and Mermoz and Marty will most likely look to run at the goalposts and hope for some change. Keep an eye out for the French debutant, Biarritz No. 8, Raphael Lakafia. We haven’t seen too much of him, but he’s regarded as a huge prospect and someone who could star at the World Cup. Finally, Meejawatch. It was interesting that Brendan Fanning and not Gerry Thornley had the inside track on the team this week. Could Kidney be playing them against each other? Gerry will have to up his uncritical fawning over the regime and justification of tactics and selection, no matter how bogus, to get back into Teacher’s good books. Wednesday’s post on the second row generated quite a bit of comment, so today we turn our attention to the back row. Typically a strength of Irish teams, 2011 will be no different. Indeed, there will be plenty of fine backrows sitting at home this September – Roger Wilson, James Coughlan, Dominic Ryan and Rhys Ruddock are all a fair way off contending a spot. How many will go? We see it as five dedicated backrows as well as the 4/6 option, as discussed here. Who is certain to travel? Jamie Heaslip, Sean O’Brien and David Wallace can start thinking about what rain gear to pack – they are going. If – and it is a big if – Stephen Ferris can pronounce himself fit, he is on the plane, and would put Ireland in the ridiculous position of having four world class back rows and only three starting places to put them in. Form. Leamy has had a poor season, was a leading figure in Munster’s discipline problems, and found himself dropped to the bench for the ML playoffs. By contrast, Jennings was consistently excellent for Leinster, never more so than in the second half in Cardiff. Backrow balance. If Leamy travels, Ireland’s backrow options will consist of a Number 8, an atypical ball-carrying openside and four blindsides. Ireland’s ambition of playing running rugby without a specialist groundhog to produce that all-important quick ruck ball is highly unusual – it’s a core principal that if you want to run the ball, somebody has to dedicate himself to winning it on the floor. There has to be room for the option of playing an out and out 7 for certain games, or at least unleashing one from the bench, and Jennings is the man for the job. Plan B. Jennings would offer Ireland a different way of playing – a Plan B if you like. He would also be crucial to slowing down opposition ball. Leamy is simply a lesser version of Stephen Ferris. What if Ferris doesn’t make it? Kidney will probably have Jennings on standby if Ferris doesn’t make it. We would see Leamy as the best fit as a replacement for Ferris’ power, so he would be our standby. So, were this the case, we would end up in the same place as Kidney, even if we got there by a different route. We would feel a little for James Coughlan, though – he has outplayed Leamy in 2011, but the suspicion remains that it is too late in the day for him to make the step up to international standard. Any bolters? With options stacked, it’s been hard for bolters to jump the queue. Rhys Ruddock is highly rated by the coaching ticket, but didn’t get enough game time at the tail end of the seson to make a charge.